You will need a long arm quilting machine to put finishing touches to your quilts. Without one, you cannot sew the three layers of your quilts. That’s where the need for an excellent quilting machine comes into the picture. 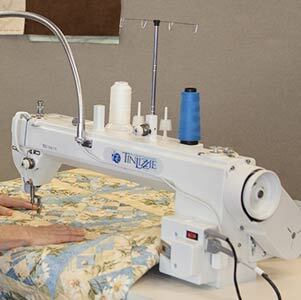 Tin Lizzie 18 without any iota of exaggeration may be one of the best things that could happen to quilters. There are too many features and top quality engineering to admire in this quilting machine. The best place to start is the collapsible working table of the quilting machine. Wide enough to accommodate the biggest quilting project in your imagination. The table is building with a hinge leaf that is easily removed for easy storage and transportation. 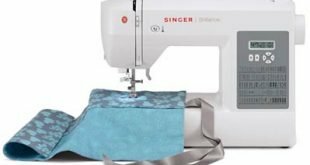 There’s a lot of ease, accuracy, and precision with each one of your stitches; the variable speed adjustment allows this. The movement of your quilt is already programmed and will be coordinated by the machine, you just have to be there to feed the machine. Don’t expect anything less than uniform quilt stitches from this machine. While you can use the foot control to control the variable speed, it is also meant for the up and down needle movement. With Tin Lizzie, you will record minimal needle breakage or bending. Along with the soft touch buttons of the quilting machine, you can monitor the needle movement. Imagine the convenience of quilting and your bobbin is self-winding? That’s what the built-in bobbin winder of the Tin Lizzie 18 quilting machine does. Your bobbin is ever ready to serve you as it is never empty. The bobbin is also the largest available, the M-size bobbin. There’s more actually. Remember the stress of oiling your hook every time you change the bobbin? 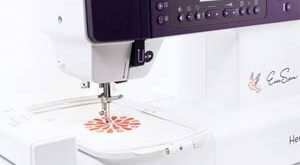 You won’t be doing any oiling or bobbin changing with this quilting machine. The oil reservoir makes quilting easy and there’s little maintenance to do. The headlamp gives the quilting machine a great ambiance at night. Whether you are doing pantographs or micro-stippling, you can direct the light anywhere you need it most – the neck is that flexible. 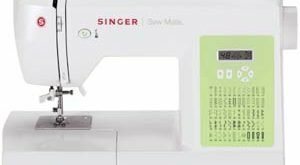 This machine is all you need to succeed as a quilter, regardless of whether you are a pro or beginner. As a pro, you find all the features of this quilting machine useful. This machine is a workhorse and also fast enough for 11th-hour projects. While you are learning to quilt, Tin Lizzie 18 will aid your learning. Looking at the machine, it may look advanced and sophisticated – don’t be scared, you will find it quite easy to use. The weight may also hinder storage.